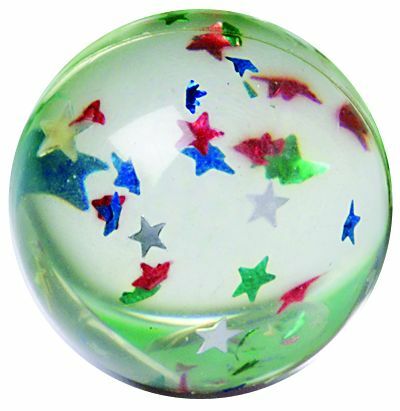 Look into this ball and see Stars inside this bouncy ball. Vist our Bulk Section to buy this ball by the case. There are 1000 balls in one case. This product was added to our catalog on Tuesday May 14, 2013.